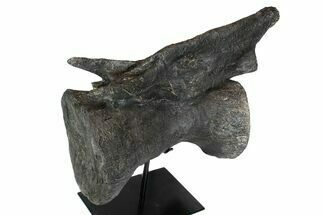 A Camarasaurus skull cast showing how the teeth looked. 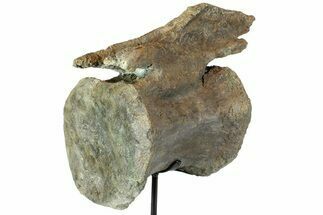 is a beautifully preserved tooth of the sauropod dinosaur Camarasaurus grandis. 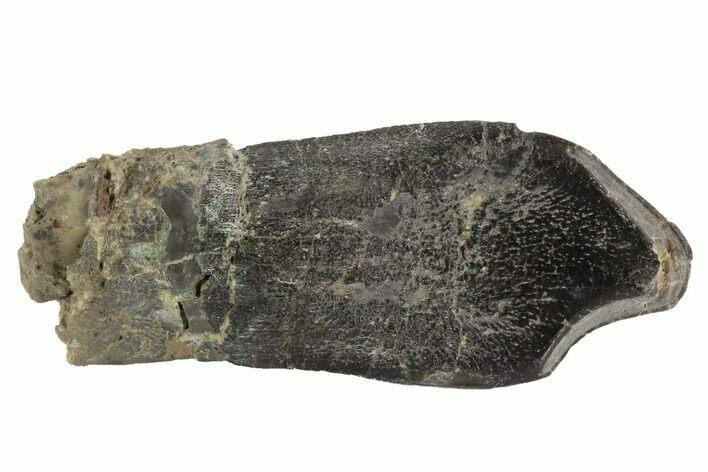 Camarasaurus had very distinctive, chisel shaped teeth indicating it probably ate courser vegetation than other sauropods. 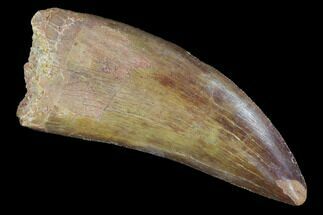 The tooth is quite large at 2.71" long with some interesting feeding wear patterns and part of the root still attached. Not many Camarasaurus teeth are found this nice and this is the only Camarasaurus tooth I've been able to get from the quarry in over a year. 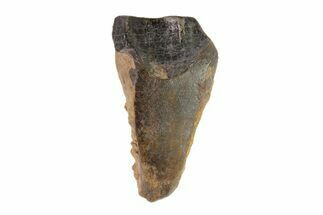 This tooth comes from what is being called the "Salt & Pepper Layer" of the Skull Creek Quarry, near Dinosaur. Colorado. 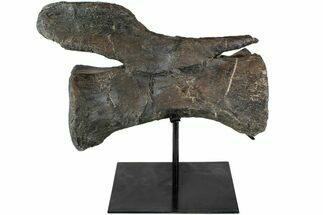 Within the past several years this quarry has produced articulated remains of several types of dinosaurs including large theropods, sauropods and Ornithischia. There is a thin layer in the quarry, probably representing a sandy river bottom that produces many isolated teeth and tumbled bone fragments. 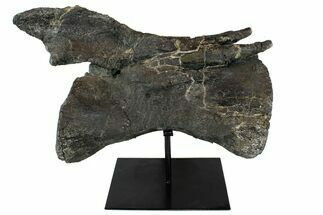 The quarry is also the location of the recently announce "Elvis" Torvosaurus find. A view of operations at the Salt & Pepper quarry in the Spring of 2015.